An Archaeology of the Contemporary Era approaches the contemporary age, between the late nineteenth and twenty-first centuries, as an archaeological period defined by specific material processes. 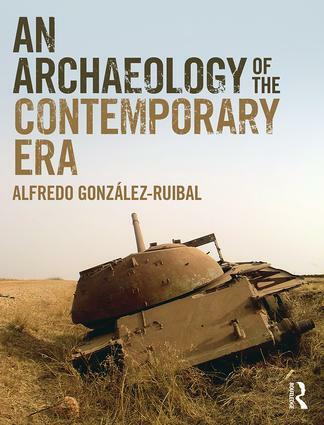 It reflects on the theory and practice of the archaeology of the contemporary past from epistemological, political, ethical and aesthetic viewpoints, and characterises the present based on archaeological traces from the spatial, temporal and material excesses that define it. The materiality of our era, the book argues, and particularly its ruins and rubbish, reveals something profound, original and disturbing about humanity. This is the first attempt at describing the contemporary era from an archaeological point of view. Global in scope, the book brings together case studies from every continent and considers sources from peripheral and rarely considered traditions, meanwhile engaging in an interdisciplinary dialogue with philosophy, anthropology, history and geography. An Archaeology of the Contemporary Era will be essential reading for students and practitioners of the archaeology of the contemporary past, historical archaeology and archaeological theory. It will also be of interest to anybody concerned with globalisation, modernity and the Anthropocene. Alfredo González-Ruibal is a researcher with the Institute of Heritage Sciences of the Spanish National Research Council. His research focuses on the archaeology of the contemporary past, and particularly on the dark side of modernity: war, dictatorship, predatory capitalism and colonialism. He has conducted fieldwork in Spain, Brazil, Ethiopia, Equatorial Guinea and Somaliland.